Marshawn Lynch reportedly agrees to terms with Raiders — or has he? Marshawn Lynch, a Seahawk from 2010-15, may be close to a deal to come out of retirement with the Raiders. But Lynch himself refuted on Friday that a deal was done. One minute Friday, it appeared Marshawn Lynch was indeed on his way out of retirement and ready to become an Oakland Raider. The next, there appeared no more resolution to the almost month-long saga than there had been when the day began, with no clear sign of when there will be. Rumblings that closure was close at hand arrived early Friday afternoon in a report from the NFL Network that the Raiders and Lynch had agreed to a contract that would then precipitate a trade from the Seahawks to Oakland that would allow him to come out of retirement and play for his hometown team in 2017. But within an hour or so, more reports broke that there was no deal, including a tweet from Lynch himself. “If u kno me you kno my business is my business and if u don’t kno me that’s a fun fact for ya… when (stuff) get REAL I’ll let you kno!!! !,” Lynch Tweeted. The NFL Network’s Ian Rapoport later reported that while a deal was not yet completed it was still expected to happen. But until it does, a return of Lynch to the NFL remains in limbo. Once a deal is completed, all that remains for Lynch to return to the NFL is a trade from the Seahawks — who still own his rights — to the Raiders. That, though, is regarded as a formality. Seattle had given the Raiders permission to negotiate a contract with Lynch as a precursor to a trade that would then allow the iconic Seahawks running back to finish his career in his hometown. It was expected any contract Lynch would agree to with Oakland would be heavy on incentives and with low-risk for the Raiders, and with a far smaller salary cap hit than the $9 million called for in the terms of the deal he signed with Seattle in 2015. Once traded, Lynch would then have to file papers with the NFL to be reinstated to Oakland’s active roster, but the trade can occur first without Lynch being reinstated. 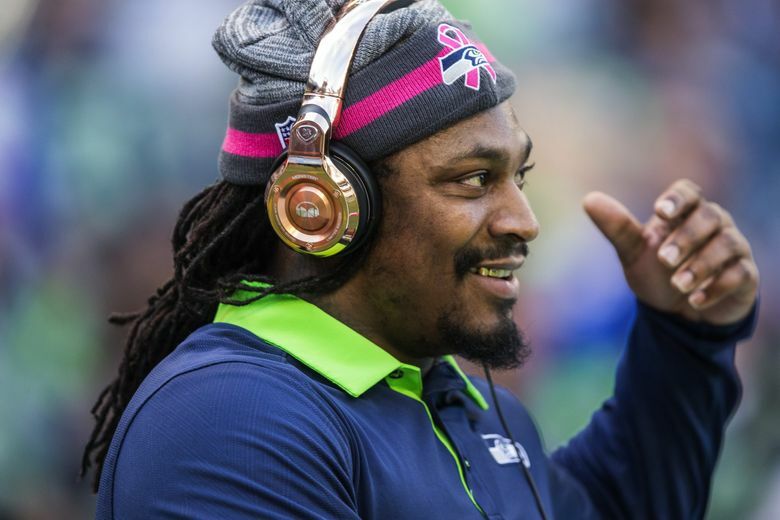 Lynch was placed on the Seahawks’ reserve/retired list in the spring of 2016 after announcing his retirement from the NFL via a Tweet during Super Bowl Sunday. That allowed Seattle to retain the rights of Lynch, who had two years remaining on his contract at the time. Contracts simply pick up where they left off when a player comes out of retirement. That came into play when rumors surfaced a few weeks ago that Lynch wanted to return to football and play at least one more season with his hometown Raiders. Lynch, who will turn 31 later this month, grew up in Oakland, attended nearby Cal for college, and spent his first season in retirement last year nurturing a bevy of business interests in the Oakland area. It was expected that a trade between Seattle and Oakland could be consummated quickly due in part to a close relationship between Seahawks general manager John Schneider and Oakland GM Reggie McKenzie who worked together for almost a decade in Green Bay. Lynch’s deal includes a $9 million salary cap hit for the 2017 season (if he returns this year) and no team was going to want to take that on given that Lynch is now 31 and has not played for a season, necessitating that he work out a restructured contract with Oakland before any trade. Lynch agreeing to a deal with Oakland on his own and then Seattle trading him to the Raiders was regarded as a much-cleaner and undoubtedly preferred scenario for the Seahawks, who by trading Lynch can at least get some sort of compensation for him — likely a late-round pick either this year or potentially in 2018 conditional on how Lynch performs — while also not having to worry about releasing one of their most iconic players. Had Seattle released Lynch so that he could return to play, the Seahawks were also expected to ask him to repay at least $2.5 million of the $7.5 million signing bonus he received when he signed his last contract with the team in the spring of 2015 (and it’s worth noting again that there has never been a thought that a Lynch return to play for the Seahawks is an option, with each side having decided to move on from that relationship, let alone that he would also have to negotiate a new deal with Seattle, which would also not want his $9 million cap hit). Getting Lynch to return some of his bonus money is a complicated step Seattle would probably have preferred not to undertake but would have felt compelled to do to protect its rights, as much as anything else (Seattle had allowed Lynch to keep all of his bonus on the assumption that he would remain retired). Seattle cannot ask for any of the bonus money back if Lynch is traded, however. Lynch met with the Raiders last week, a meeting that the Seahawks approved, and it was thought that initial talks about a restructured contract began then. Over the weekend, a Pro Football Talk report indicated that talks between Lynch and the Raiders weren’t going all that smoothly — the Raiders undoubtedly are not going to want to pay Lynch anywhere close to the $12 million he was due over the final two seasons of the Seattle contract he was working under when he retired. Lynch ended his Seahawks career as the fourth-leading rusher in team history with 6,347 yards, and second in rushing touchdowns with 57. He famously announced his retirement with a wordless Tweet during Super Bowl 50 with a picture of cleats hanging over an electrical wire and a peace out sign, and then reaffirmed his retirement in several later interviews.